In the assault helicopter company I was assigned to; we were prepared to meet the unexpected. One day the commanders Huey appeared with a strange device attached to the nose. Back at the depot in Bien Hoa the mechanics had installed what looked like a RCA television antenna which we learned was a sniffer. It was designed to smell human emissions of sweat and ammonia. This would be a great advantage since we couldn't see the enemy who hid under the jungle's triple canopy foliage. They flew the helicopter over the fire base and the surrounding area to test the unit. Satisfied, the device was deployed in the following weeks. 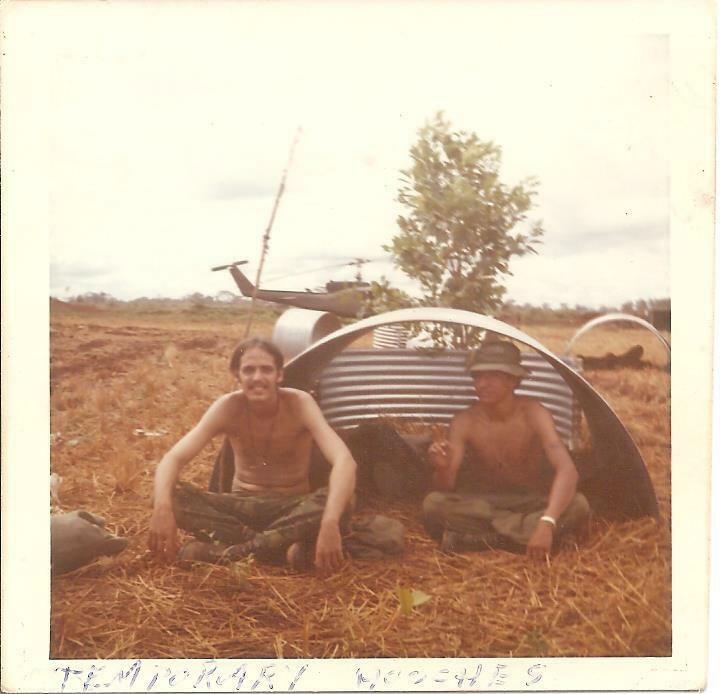 At that time the Easter offensive was going on in which elements of the NVA and Viet Cong were attacking across the Cambodian border and making a drive in two spearheads for Saigon. The South Vietnamese Army couldn't hold the enemy back and there was widespread panic and mayhem. Refugees, wounded and deserters were streaming back from the battle. I had never before felt the extreme terror and sense of doom that hung over everyone. Hushed conversations were had about missions to evacuate the wounded from the front. Some South Vietnamese soldiers were so desperate and panicked to escape that they would cling to the helicopters skids during takeoff. 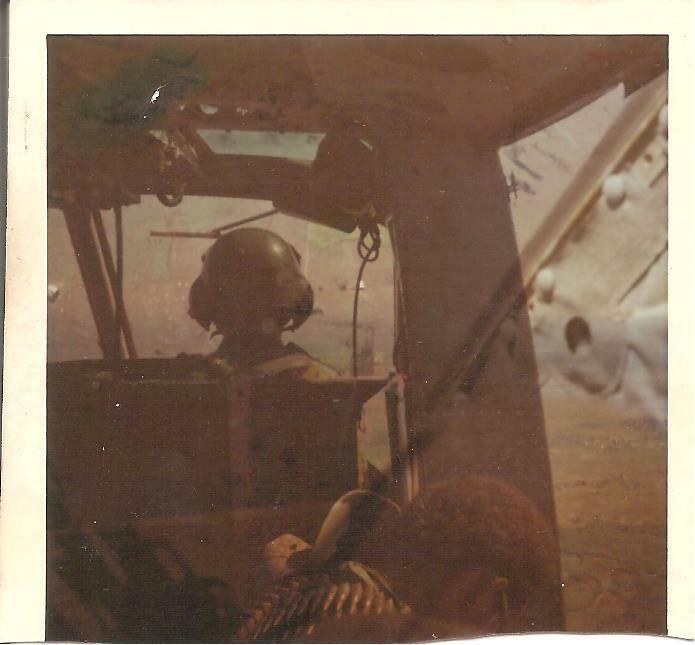 This put the copter in an overloaded condition so the crew chief and gunner had to stomp on their fingers to get them to let go so they could get airborne. 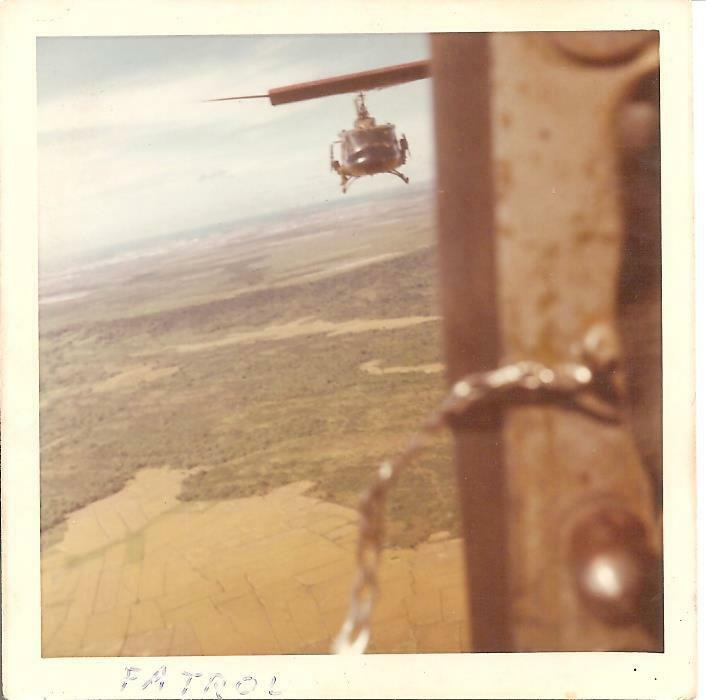 At this time; one of our scout helicopters; an LOH -6, lost sight of a company size unit in the jungle a few kilometers from us. We feared they were positioning themselves to overrun the fire base. This was a perfect time to use the sniffer to find them. The sniffer bird was deployed to run a grid pattern and locate the enemy. Sure enough they had return signals from the jungle floor to indicate their position. Flights were directed around their position so as not to let them know they had been detected. Our observation helicopters, our Hueys with the reaction teams of Rangers and Cobra gunships orbited 5 kilometers from the target. B-52 bombers from Thailand were sent to carpet bomb the area. The airstrike obliterated everything below it and made us glad we were not on the receiving end of such massive and horrible destruction. When the smoke cleared; the helo company was sent in to assess the damage and get a tentative body count. The devastated area was flattened with all vegetation shredded and very few trees left standing. The smell was overwhelming with chlorophyll, gunpowder and blood. The search teams were finding small chunks of entrails and bits of body parts. On closer examination of some of the blackened fingers and toes, something wasn't right. Someone exclaimed, "wait a minute, these are from monkeys"! It turned out that the sniffer had detected a large colony of "rock apes". We had spent thousands of dollars in ordinance and hours of manpower time to eliminate these "enemy monkeys". I often wondered what the reports said on the number of enemy killed. We like to think we won that battle. Later on the sniffer disappeared and was never seen again.